Burke, Williams & Sorensen, LLP maintains a full-service litigation practice, covering over a dozen specialized areas of the law. Of the firm’s 100-plus lawyers, over 75 practice in litigation, including trials, arbitrations and appeals, in state and federal courts throughout California. Our litigators have handled cases in dozens of subject areas, including contract disputes and general commercial litigation, public law, real estate, commercial tenancies, labor and employment, construction, environmental and land use, insurance, constitutional law, securities, bankruptcy, financial services, business torts, personal injury and products liability, intellectual property, and professional malpractice. Burke maintains a first-tier group of skilled trial lawyers. More than a dozen of our litigators have tried twenty or more jury trials, bench trials, and binding arbitrations. Because we also recognize that litigation can be expensive and time-consuming, much of our work in litigation is dedicated to avoiding unnecessary lawsuits, through all forms of alternative dispute resolution, and by counseling our clients in ways to avoid litigation altogether. Our philosophy in managing complex litigation is simple: we handle every case on the assumption it will go to trial, an approach that we believe promotes the best possible outcome at trial and, where compromise is appropriate, leads to the most favorable settlement value. Our staffing of litigation matters is generally lean, with only one or two attorneys handling most cases. Where the size or stakes involved warrant heavier forces, Burke has the personnel and resources to quickly and effectively draw from its offices state-wide to ensure that our clients receive representation that is equal to the task at hand. At the heart of the firm’s litigation practice is its broad-based experience in business and commercial litigation. Overlapping many of Burke’s more specialized areas, the firm’s commercial litigators have prosecuted and defended lawsuits in state and federal courts throughout the State of California, involving every major area of business-related disputes.These include breach of contract claims in almost every form, transactions involving the purchased or sale of real and personal property, commercial leases and ground leases, financing agreements, deeds of trust and other real property security instruments, grant deeds and easement agreements, asset purchase agreements, commercial loans, joint ventures, construction contracts, municipal bond or note offerings, securities transactions, land use and development agreements, insurance policies, and many other species of contract.Our commercial litigators have handled a wide range of business torts, including claims for fraud and misrepresentation, unfair competition or business practices, breach of the implied covenant of good faith and fair dealing, interference with contract, and misappropriation of trade secrets.In addition to California state and federal trial courts, our commercial litigators handle matters in bankruptcy courts throughout the state, in private arbitrations, and at the state and federal appellate levels.We work with our insurance practice specialists to explore every opportunity for defense of litigation by our clients’ insurance carriers.With an extensive background in trial work, Burke’s commercial litigators overcome perhaps the greatest obstacle to a successful result – presenting a complex business dispute to a judge, jury, or arbitration panel in a manner that is simple, economical, and persuasive. Our litigators have recently been at the center of disputes arising from the dissolution of the state’s redevelopment agencies, representing local public entities in litigation with the California Department of Finance. The firm’s complex construction disputes practice is unequaled among law firms of any size throughout the United States. Burke’s construction lawyers represent public and private owners in construction matters, as well as some of the country’s foremost national engineering, procurement and construction (EPC) contractors. From initial claims, to the commencement of litigation, through trial or arbitration, and on appeal, our construction lawyers handle every phase of the construction litigation process.The firm has represented clients in California and throughout the United States involving almost every kind of construction project, involving a wide spectrum of damages – from tens of thousands of dollars to well over $500 million, including power plants, highways and bridges, wastewater treatment plants, pipelines and other underground utilities, airports, sports and convention facilities, hotels, condominium projects, shopping centers, municipal improvements and public works, community colleges, and school districts. A key strength of Burke’s litigation practice is its deep expertise in the areas of environmental, land use, and natural resources law. Our environmental litigation team represents public agency and private clients in environmental and land use disputes in state and federal courts, as well as before the many federal, state, regional, and local agencies administering state and federal environmental and land use laws.Burke lawyers have successfully defended “potentially responsible parties” in Superfund litigation under CERCLA, as well as petitioners, respondents, and real parties in interest in mandate litigation, especially under the California Environmental Quality Act (CEQA). Burke’s environmental litigators deal with issues under CEQA and the National Environmental Policy Act (NEPA) on a regular basis, litigating disputes over the adequacy of environmental impact reports that involve land use, planning, real estate development, and public infrastructure projects. Burke, Williams & Sorensen lawyers represent major national insurance carriers in a wide range of litigation matters, including coverage disputes, bad faith claims, unfair trade practices, ERISA claims, reinsurance disputes, and defense of class actions. We handle litigation over life, health, and disability insurance policies, property and casualty insurance, environmental coverage, and coverage of professional liability claims. Our team of insurance litigators has represented carriers in litigation in state and federal courts throughout California, including a successful appeal in a life insurance dispute to the California Supreme Court. One of our litigators serves as a carrier’s national coverage counsel for professional liability, construction, and environmental claims. Burke insurance litigators frequently lecture at state and national conferences on insurance and ERISA matters. Burke’s commercial litigators frequently handle cases involving real estate transactions. The types of California real estate disputes we handle run the gamut: breach of purchase and sale agreements, joint ventures, disputes involving commercial leases and long-term ground leases, deed of trust and real property security matters, breach of real estate development agreements and associated land-use disputes, enforcement of real estate loan agreements and foreclosures, bankruptcy claims arising from real estate matters, shopping center and retail establishment issues, common interest development issues, and eminent domain and inverse condemnation actions.Three of our litigators are California licensed real estate brokers. The firm’s clients sometimes face claims brought under the nation’s securities laws and regulations, as well as under the unique provisions of the California Corporate Securities Act and implementing regulations. Burke litigators have extensive experience defending claims under all applicable state and federal securities laws, including the ’33 Act, ’34 Act, ’40 Act, Rule 10b-5, and Blue Sky laws.We have defended claims against corporations, broker-dealers and registered representatives, in single-plaintiff litigation, and in shareholder derivative suits. Our litigators have represented public-entity issuers of municipal bonds and notes in defense of securities fraud and related claims. We have handled securities litigation before all tribunals, including federal courts, state courts, and FINRA proceedings. A senior Burke litigator briefed and argued two securities law cases resulting in reported decisions, both with client victories.In a related area, our litigators frequently handle litigation involving corporate and partnership disputes. These include board of directors disputes, litigation involving corporate officers and other fiduciaries, shareholder lawsuits, including derivative litigation, partnership disputes, and lawsuits brought by or against members of limited liability corporations or partnerships. With an ever-expanding array of statutes, regulations, court decisions, and administrative rulings, and the day-to-day process of managing disparate workforces, California employers face a daunting exposure to claims and liability. Over twenty of Burke, Williams & Sorensen’s lawyers dedicate all or a substantial part of their practice to the prevention of such claims and, when necessary, litigation of labor and employment disputes.The list of potential employer/employee-related claims is long and getting longer. Burke’s team of labor and employment litigators have handled virtually every type of employment litigation, including wrongful termination, discrimination based on age, race, or gender, harassment and retaliation, whistleblower claims, violation of privacy, workplace violence, bullying claims arising from social media, workplace investigations, wage-and-hour disputes, family medical leave, ADA claims, and disability discrimination.Burke’s employment litigation lawyers have extensive experience in state and federal trial courts, in appellate courts, and in a wide range of administrative tribunals. In addition to individual cases, our labor and employment litigators have successfully defended numerous state and federal employee class actions. Burke lawyers have developed proven expertise in defending class action lawsuits, most commonly brought in the insurance and employment arenas. One of our employment litigators has served as lead defense counsel in multiple employment-related class actions. Another of the firm’s leading trial lawyers has defended multiple class actions on behalf of the California Department of Corrections and has defeated several class actions at the certification stage. Our insurance litigators have defended national insurance carriers in class actions brought by policyholders. Burke has a long history of representing law enforcement agencies throughout California. In some cases, we have done so as City Attorney, working directly with Chiefs of Police and City Managers, providing legal advice to law enforcement agencies on best policies to avoid litigation. In other cases, we have been retained as litigators to defend law enforcement agencies and their officers from a wide variety of claims brought against them.As experienced litigators representing public sector clients, our law enforcement defense team members are intimately familiar with the many unique federal and California immunities and defenses available to public sector clients, such as the California Government Claims Act, Monell liability issues, and qualified immunity.In addition to providing law enforcement agencies with policy advice and training for their officers, we have significant experience defending civil rights litigation at the trial court and appellate levels in courts throughout the state. Among the claims we frequently handle are: Section 1983 litigation; state law claims under the Bane Act, Ralph Act, and Unruh Act; officer-involved shootings and in-custody wrongful death cases; use-of-force cases, including those involving the use of Tasers, K-9s, and less lethal weapons; First Amendment claims; and false arrest and malicious prosecution claims. With increasing frequency, our clients have called upon us to defend them from claims alleging lack of equal access to public accommodations under the Americans With Disabilities Act, the Rehabilitation Act of 1973, California disability discrimination statutes, state and federal implementing regulations, and under California’s extensive building code requirements. These include construction accessibility claims for both public and private clients who are property owners, property managers, or tenants.Our ADA litigation team includes attorneys who have litigated claims involving alleged access barriers through trial and on appeal to the Ninth Circuit. Our familiarity with the technical ADA and California accessibility requirements, coupled with knowledge of the strategies employed by ADA plaintiffs, give us a unique ability to quickly assess the merits of ADA claims, retain expert consultants, make recommendations for necessary alterations, and resolve the vast majority of claims within months, significantly reducing risk and exposure if early settlement is not feasible. Burke, Williams & Sorensen litigators have for many years represented state and national banks and other financial institutions with regard to commercial loans, real estate foreclosures, bankruptcy, securities processing, lender liability, deposit accounts, checks, wire transfers and other bank operations matters, factoring agreements, inter-creditor agreements, and collections. We handle financial services litigation in state and federal courts in California, as well as in Nevada and Arizona.In recent years, as claims involving mortgage loans and foreclosures proliferated, we have frequently defended our clients – often obtaining early dismissals – in borrower claims for wrongful foreclosure, fraud and misrepresentation, negligence, Truth-in-Lending Act violations, California’s unfair competition law, and state statutes involving lending and foreclosure practices. Within the litigation practice, a core team of Burke lawyers has experience in handling bankruptcy and insolvency disputes, in bankruptcy courts throughout California, as well as state court collection actions. Among the matters we routinely handle for our clients are the presentation of claims in bankruptcy, prosecution or defense of preference and fraudulent transfer claims, representation of our clients at the first meeting of creditors, Rule 2004 examinations, relief-from-stay motions, asset sales under Section 363 of the Bankruptcy Code, prosecution or defense of adversary proceedings, and similar matters. Due to the firm’s extensive public entity, trial and appellate practices, Burke has significant expertise analyzing and arguing claims brought under the United States and California Constitutions. Freedom of speech and association claims are frequent, as are due process, equal protection, inverse condemnation, freedom of religion, privacy, Fourth Amendment, Commerce Clause, and other constitutional claims. Burke’s litigation practice extends beyond purely business disputes, into the defense of traditional tort claims. These include the defense of claims for personal injury, wrongful death, premises liability, and toxic torts. Burke litigators also have experience in products liability and premises liability claims. In addition, we have handled the defense of mass tort claims for personal injury and wrongful death. With its traditional base in the entertainment hub of Los Angeles, Burke litigators have handled litigation and disputes involving trademarks and copyrights, protection of trade secrets and trade names, as well as litigation over the right to publicity, misappropriation of likeness, defamation, invasion of privacy, and branding/packaging issues.A Burke litigator recently successfully defended an Academy-Award-winning director of a documentary film in litigation over use of private and previously-published photos of the film’s subject, a former beauty queen. Complex business transactions and litigation often generate claims involving various professionals who played a role in the underlying matter. Burke litigators have prosecuted and defended cases involving a variety of professionals, including lawyers, accountants, architects, engineers, insurance brokers, and real estate brokers.Our litigators have also defended doctors and dentists in professional malpractice actions.One of our senior litigators is a certified expert in Legal Malpractice Law. Several of Burke’s senior litigators handle disputes arising in the areas of probate and estate litigation. Among the matters the firm’s litigators handle in this area are will contests, marital dissolutions, defense and prosecution of palimony claims, and claims arising from elder abuse. 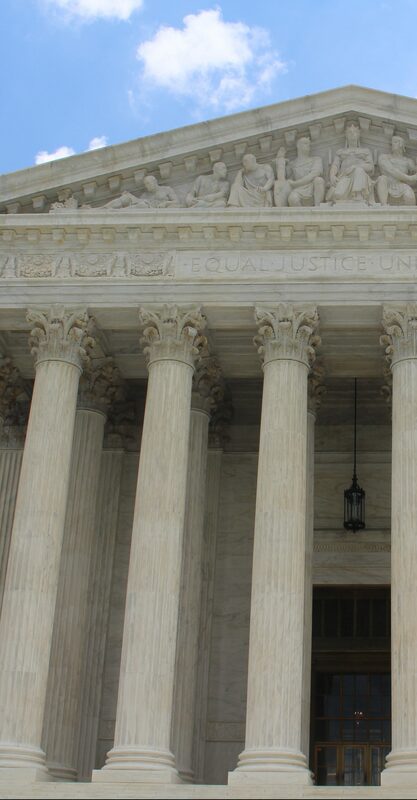 Carrying on the tradition of the firm’s founders, two of whom were justices on the California Supreme Court, the firm’s appellate counsel have handled appeals in the state Courts of Appeal, the state Supreme Court, the Ninth Circuit, and the United States Supreme Court. Burke, Williams & Sorensen’s litigation attorneys regularly handle appeals and writ petitions to the California Court of Appeal in appellate districts throughout the state, and to the Ninth Circuit Court of Appeals.Due to our public law, constitutional, and environmental practices, we also have extensive experience in trial court writ petitions and appeals.Many of the appeals our lawyers have handled resulted in published decisions. At last count, seven of Burke’s litigators have briefed or argued cases in front of the California Supreme Court. Our public and private clients frequently ask us to prepare and submit amicus briefs on their behalf, usually on cutting-edge legal issues. The extensive practices Burke maintains in the areas of public law, environmental law, and labor and employment disputes, require the firm’s litigators to practice before administrative tribunals on a regular basis. Among the many agencies our lawyers have appeared before are the Department of Labor, the Department of Fair Employment and Housing, the EEOC, OSHA, the Public Employees’ Retirement Board, the NLRB, the Department of Toxic Substances Control, the EPA, the State Water Resources Control Board, the SBA, the Bureau of Land Management, and the California Public Utilities Commission. An integral part of any litigation matter at Burke is finding ways to manage costs and to minimize our clients’ exposure to liability. At the outset of any lawsuit, our litigators explore less time-consuming and more cost-effective alternatives to full-scale litigation.As a result of our major practices in construction law and labor and employment, our litigators in all practice areas have developed unique expertise in prosecuting and defending large, complex claims through private arbitration proceedings. In an effort to explore every avenue of amicable resolution before trial preparation commences in earnest, we participate in mediations on a regular basis, both informal and with a full evidentiary presentation.Many of our litigators have themselves served as mediators, arbitrators, and pro tem judges, in jurisdictions throughout California and for the American Arbitration Association.